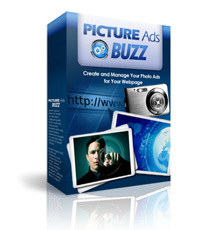 "Improve Your Product Promotions and Skyrocket Your Profits With This Picture Ads Creator!" Increase your sales made at your website which in turn explodes your profits naturally! Display unlimited ads promoting your own products and affiliate programs on unlimited websites and watch your profits skyrocket, all with the help of this tool! User-friendly interface makes it easy to replicate the whole picture ad creation process for all your websites!